Grove of trees on the Shirane-san climb. Snow wall at Shibu Toge -- almost melted now. Not as impressive as others GW photos. 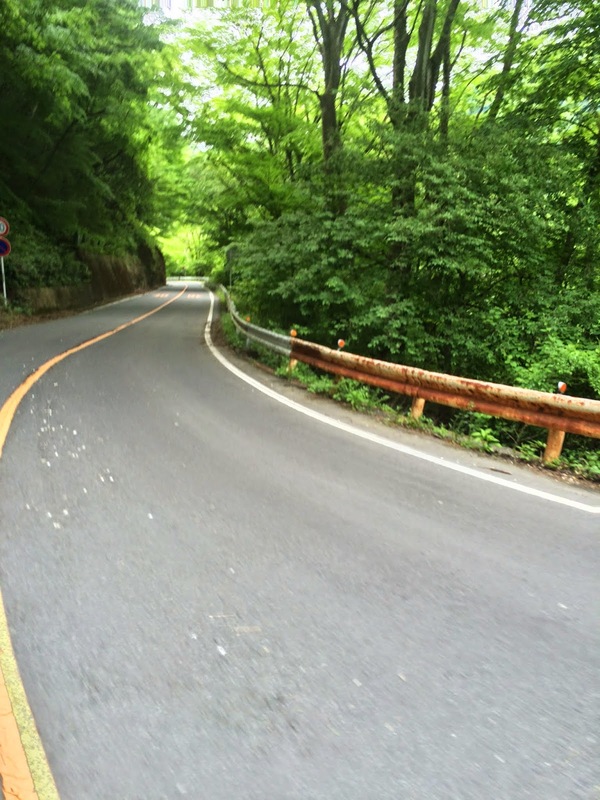 The classic, Meganebashi on the old Nakasendo climb to Usui Toge and Karuizawa. Deserted at 820AM on a Friday morning. 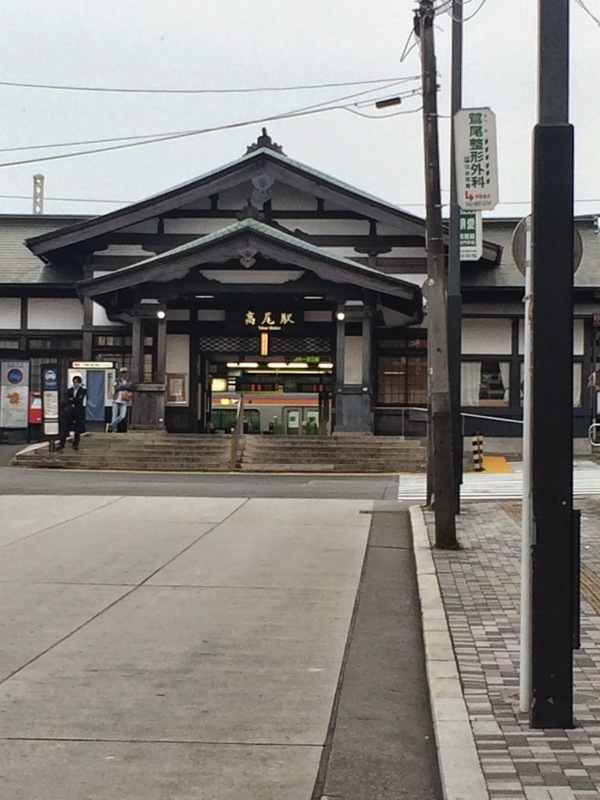 Approaching Shibu Toge from Shirane-san. Utsukushigahara -- The sign indicates "1959m elevation; please take good care of nature". Jerome and Tanaka-san -- two very tired looking randonneurs, at post-goal breakfast. To everyone at Saitama Audax, thank you! The SR600 Fuji course is spectacular. I had ridden the first 60% in one fell swoop before, and much of the rest of it in dribs and drabs over the past 10 years. But never the entire course, in almost ideal weather. It showcases many different, really nice places. 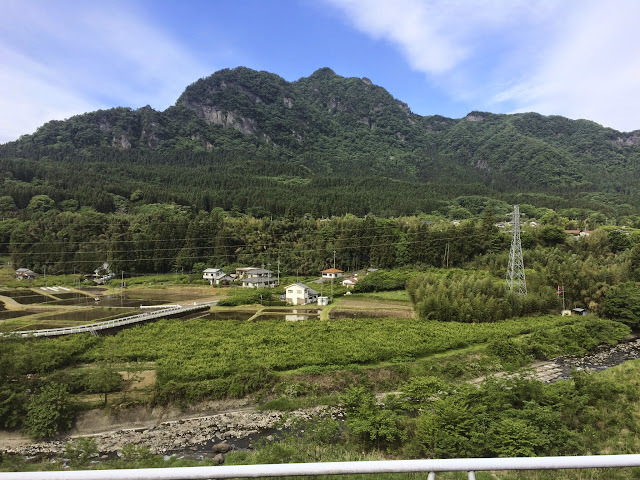 An example -- the climb of the Ashigawa from south Kofu to Wakabiko Tunnel then Kawaguchiko ... was I think the best route I have ever taken between the Kofu area and the Fuji 5 lake region. Bring a good light, as it was pitch dark on a Saturday evening, and very low traffic volumes. 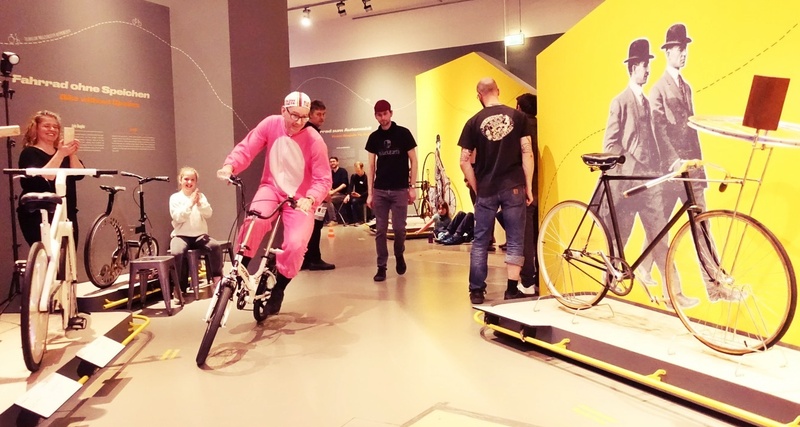 Readers -- even if you do not want to go through the extremes of doing this within the 52-hour time limit, it is well worth registering as a "Touriste" and riding the full course over 3, 4 or 5 days. Please allow time to stop and enjoy the sights along the way. What went right, and what went wrong, with the SR600 Fuji this time? Weather. The weather was absolutely spectacular. Dry. Not too hot. Not too cold. 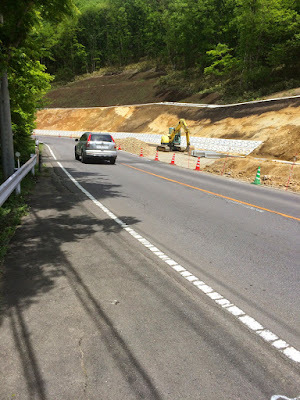 A very early morning start allowed me to get all the way to Karuizawa by 930AM on Friday, out of the lowlands before any heat -- which was quite mild in any event, for late May in central Japan. Mid-day and both afternoons were spent at relatively high elevation in Gunma/Nagano. 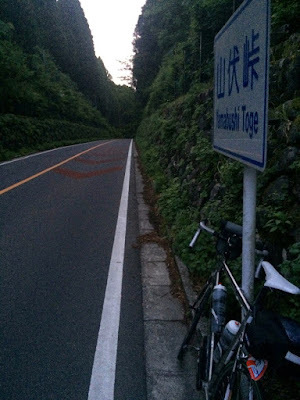 The nights and early mornings were surprisingly warm, with my somewhat minimalist gear proving sufficient even at 730AM Saturday when I reached the top of Utsukushigahara (1959m elev), and for the descent from Yamanaka-ko/Yamabushi Pass (Yamanashi) down Doshi Michi (1100m elev) in the wee hours of Sunday morning. Rest. I had plenty of rest before, and enough during, the event. This included reasonable amounts of sleep the two prior nights, and I actually managed to sleep from around 4 hours the night of the start before waking at 115AM. 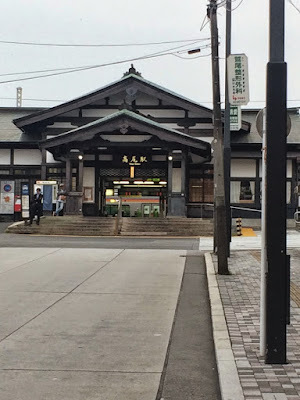 I also got to Ueda on Friday evening by just after 9PM, and so could sleep in a real bed from 10PM until almost 230AM before starting on the last half of the event. I only felt drowsy (dangerously so -- needing to pull off twice to recover) on that final Doshi Michi stretch). Physical Condition. This year, given the Paris-Brest-Paris entry requirements, I have already completed a series of 200, 300, 400 and 600km brevets. More important, perhaps, after a very weak performance on the first 400km ("Attack Nikko/Attack Beef Line"), I rode a second 400km event (Nishi Izu), which was I think almost as difficult, per kilometer, as the SR600 course. Progress from these endurance efforts showed in the Okitsu 600km brevet on May 9-10. 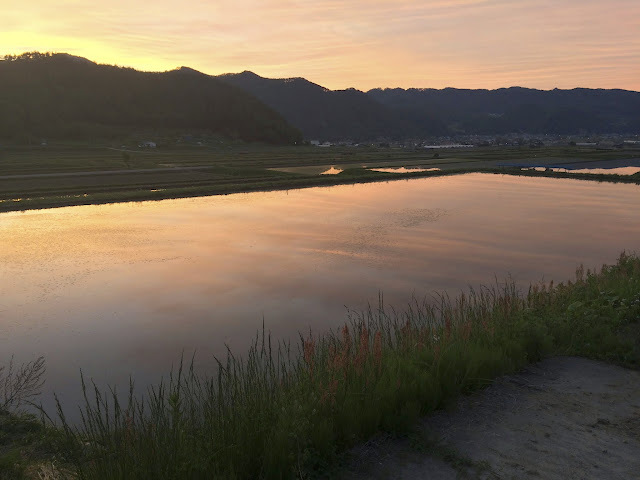 Yes, less than two weeks had passed since the Okitsu 600, but Okitsu was not particularly punishing, and my body was back at close to 100% by the early morning of May 22. 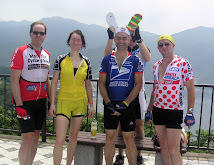 I was in as good shape as ever for endurance cycling, and legs felt fresh. 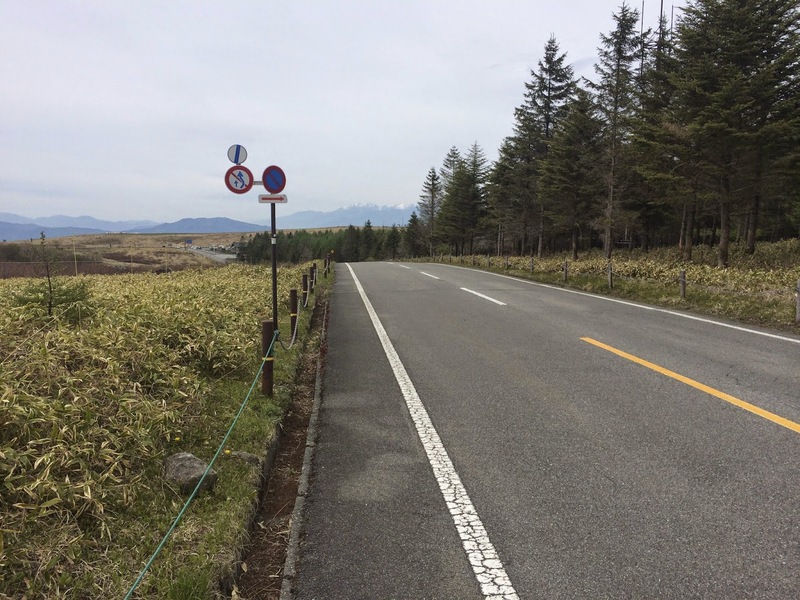 At the end of the SR600, I had no hesitance about hopping back on the bike after breakfast for the ride home from Takao. Equipment/Gear. Everything worked perfectly. See the note at the end of this blog post, for those interested. Planning. 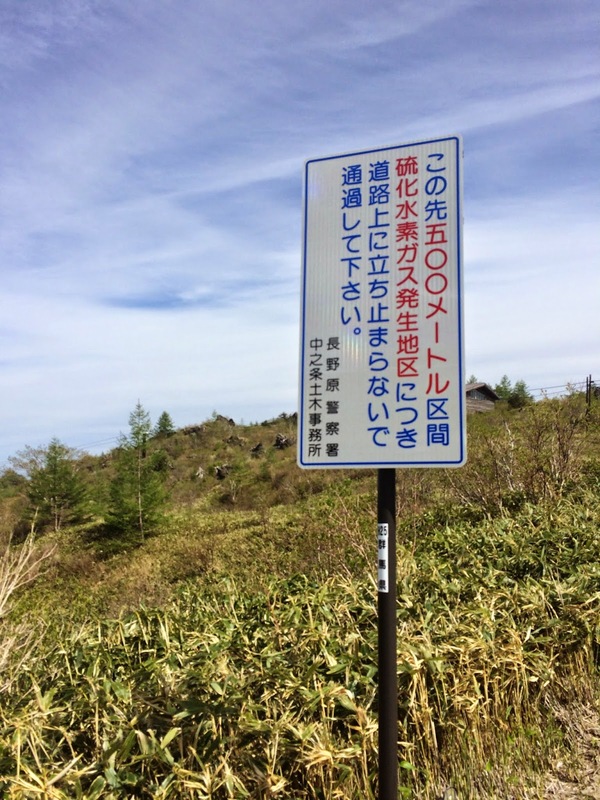 There continues to be monitoring related to extra volcanic activity at Shirane-san on the climb above Kusatsu. No hikers allowed on the mountain at all--a huge constrast to the first time I rode this mountain. And no parking (or stopping) during a stretch where poisonous gases, reeking of sulphur, are dangerous. There were several manned vans collecting data near the very top of the mountain as well. 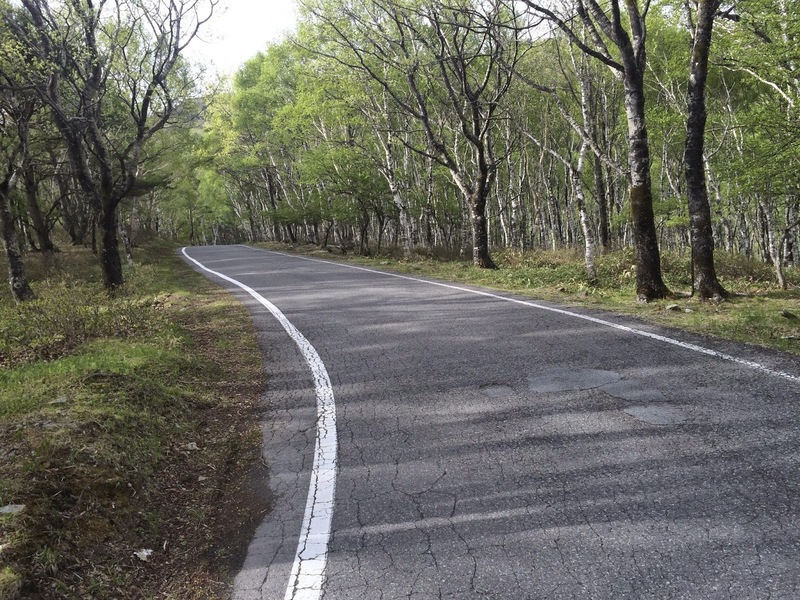 The road is closed entirely for a long stretch, from 5PM until 8AM. I wanted to clear this stretch without feeling any extra pressure -- both entering and exiting well before the gates shut at 5PM. Though Jerome and Tanaka-san, our Fleche team leader, also planned to ride the SR600 Fuji, I did not want the pressure of needing to keep up with them. The conclusion: I chose a 2AM start. Jerome lobbied for 4AM, while Tanaka-san persuaded him that 330AM would be more sensible. (In the end they were not on the road until almost 4AM anyway!). 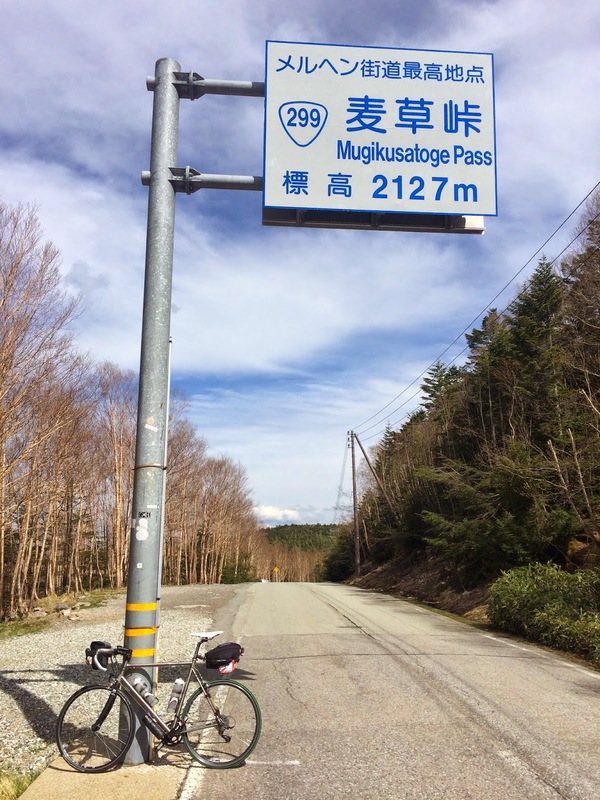 The plan was that they would gradually eat into my 90 minute head start, catch me on the Shirane-san climb (if not before), and then we could ride together the rest of the way. The 2AM start worked out perfectly. I could ride without pressure the entire event. I could be careful not to push too hard -- and the result was that I felt good even on the latter part of the event. An example is the soul-crushing straight, hot incline after Shirakaba-ko toward Suzuran Pass. 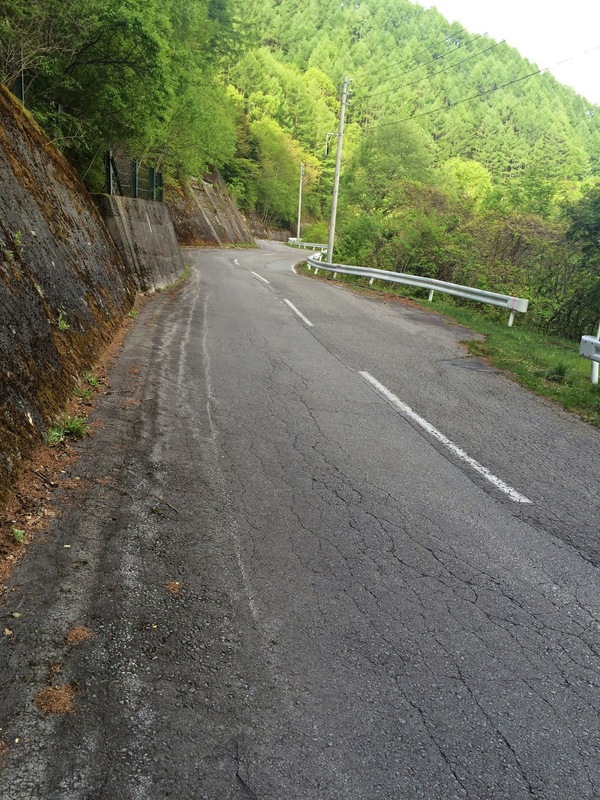 Jerome and Tanaka-san noticed it and had the same reaction as I have previously -- a miserable hill because it is straight, boring and reasonably steep, and comes at a point where one has already ridden a long ways and is usually close to breaking. For me this time -- I just spun up it without a care in the world, looking forward to my planned lunch stop just over the pass. I could get all the way to Route 18 in Gunma before running into any significant traffic; I was on the Shirane-san climb just after lunch; I was at my hotel in Ueda just after 9PM; I was almost done with the Venus Line stretch to Shirakaba-ko before the traffic got really heavy with racing groups of motorcyclists on Saturday morning; and I had plenty of leeway in the schedule so I was never in doubt of missing the 52 hour time limit. In the end, I stayed ahead of Jerome and Tanaka-san the entire trip. At the top of Shirane-san, they were just as far behind as at the start, and they reached (and left) the hotel in Ueda more than 3 hours after me. I used some of the leeway on the afternoon and evening of the second day waiting to see if they would catch up, but eventually could wait no longer, needed to keep moving toward the finish. I ended up at the goal with (only?) 1 hour and 3 minutes to spare, but did not feel rushed at any point. (Jerome and Tanaka-san finished 1 hr and 10 minutes after me ... so if I had waited and ridden with them, I would likely have just missed my 6AM Sunday morning deadline). Riding this course on Friday/Saturday instead of Saturday/Sunday seemed to help in terms of traffic. The climb past Megane Bashi on old Route 18 to Usui Pass/Karuizawa was deserted and beautiful on a weekday. The climb from Nakanohara to Kusatsu was much less congested than I remember -- only a few massive tour buses racing by instead of one every minute or two. Connections and Inspiration. It may seem a small thing, but even though I rode this event alone, I never felt lonely. Solitude, yes, but loneliness, no. I took over 100 photographs -- uploading some mid-ride to friends and family so others could see and comment on them. I even dabbled with Twitter to post a few updates to the Japanese randonneur community and got encouraging responses. And I could communicate with Jerome via phone/iMessage, so usually had a good sense of where he and Tanaka-san were at any time. On the second day, I passed through Tateshina, passed the driveway of the house I have gone to for chamber music weekends twice this past year, and pulled in at the adjacent pension for a hamburger steak lunch. The pension's proprietor and proprietress remembered me. (I would have stopped at the classic cafeteria at Tobira Toge ... but it was still closed when I passed through. Jerome and Tanaka-san gave my greetings to Mrs. Watanabe). An SR600 is ultimately a crazy, solitary achievement, very different than riding a brevet with 50 to 100 others, a group ride with friends, or a major event like PBP with thousands. But this time, I felt the friendship and companionship all the way. I felt that this is now solidly my "home" cycling turf. No, I will never be Japanese (and would never want to try!) but in most ways, I am a Japanese randonneur. 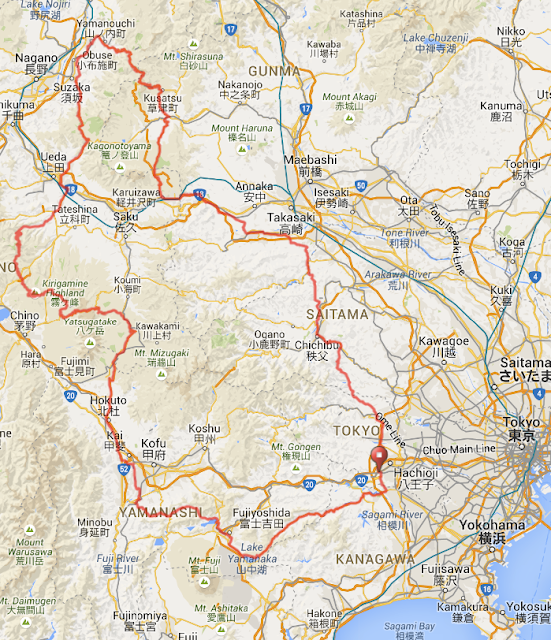 It was a very different experience than my attempt at the Nihon Alps SR600 in the dark and pouring rain last summer. On the negative side? Well, not much. If anything, it was that Tanaka-san and Jerome did not catch up to me so we could ride the second half together. They lingered at the start, then Jerome had stomach issues the first day (been there, done that), and needed extra rest. Tanaka-san, a busy surgeon, arrived having finished work and driven straight from Nagoya. He slept 3 hours or so in his car near the start, but could hardly have been well-rested. Based on mid-ride reports, and seeing them completely bedraggled at the finish, they looked as if they had endured some pretty intense suffering. More photos -- I have lots, lots more. 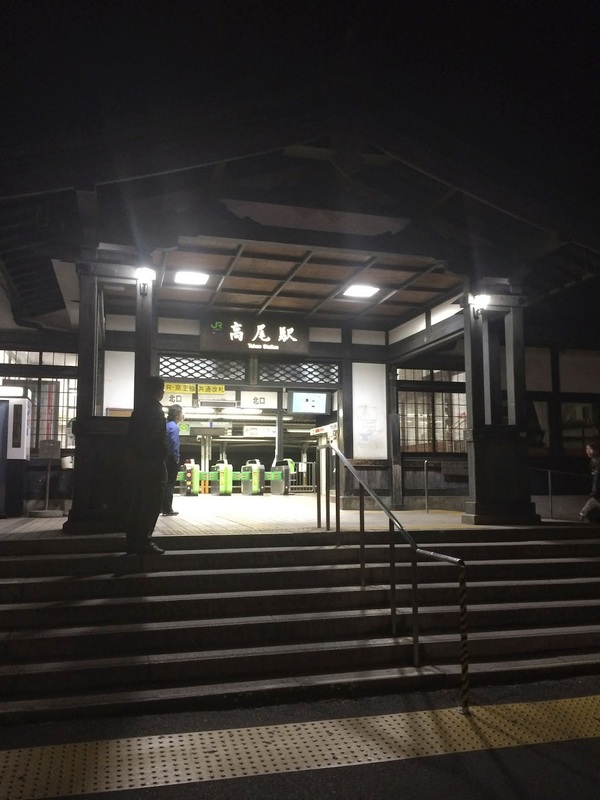 Takao Station 1:45AM -- some people actually just exited the gate. I was too slow with my camera. The GS Astuto ti travel bike - Voyage Voyage, ready to go. Note the small Ortlieb front bag -- surprisingly roomy. 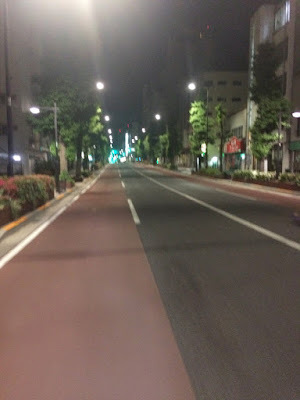 Passing through Chichibu City around 5AM. Yamabushi Pass (Saitama) at 420AM. ... just in case that last photo was not clear enough for "proof" of passage. 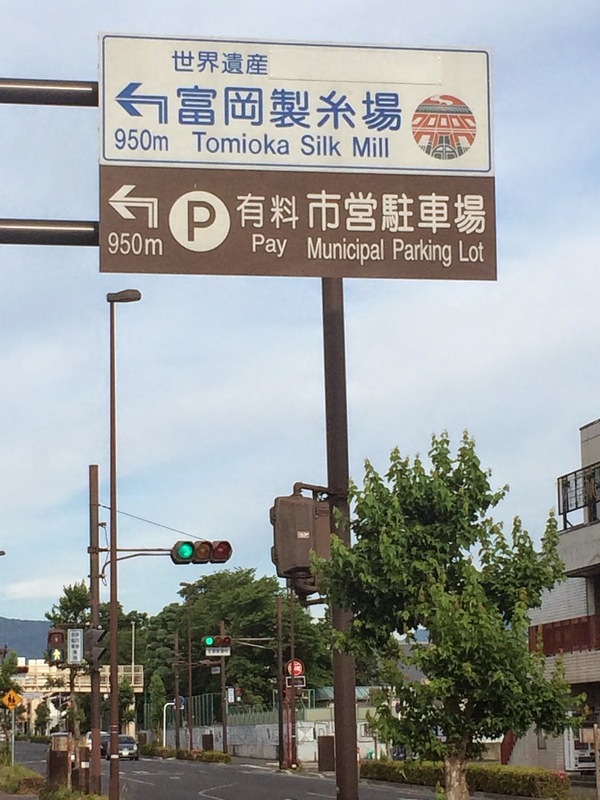 Tomioka seems transformed by its "world heritage site" designation. How? Well, now every vacant lot is officially a parking lot. 100 yen for each 30 minutes. And lots of new signage directing visitors. 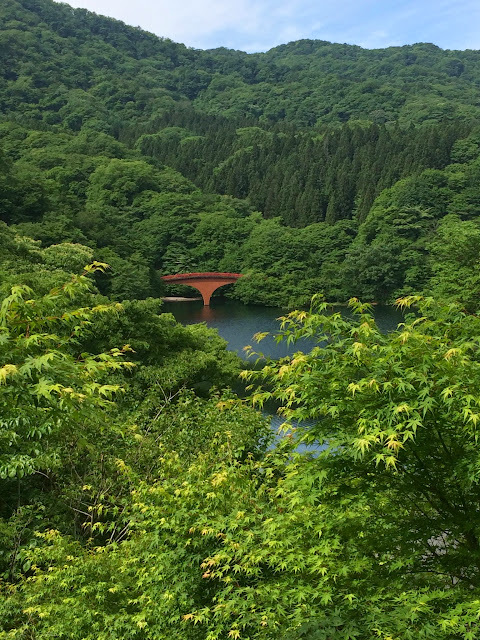 On the climb to Usui Toge - lush green, and no traffic. and some art and good food. 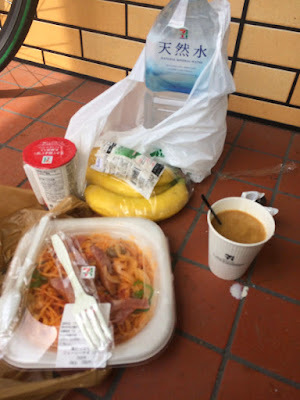 My Karuizawa meal -- 3rd breakfast of the day, just before 10AM after 8 hours on the road. Not quite as stylish as across the street. Then again, no dinner jacket required. once I got a little way out of town. Also, the compact crank paid off here. The climb to Kusatsu. Still under construction, still not enough shade. But less traffic and cooler than last time, plus that extra gear -- a piece of cake! Time for a real sit-down lunch in Kusatsu. Another 8-10 customers arrived within minute of me. 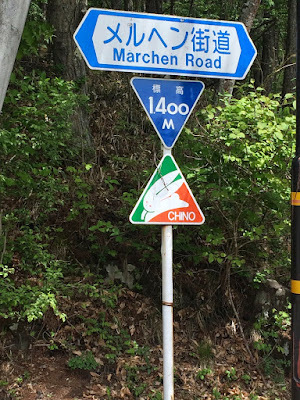 On the lower climb from Kusatsu up Shirane-san. Shade, beautiful trees and sky. No traffic. Warning, poisonous gases. No parking, etc., etc. I came from somewhere down there. At Shibu Pass, Elev 2172 meters. A different world. Very much like the great alpine passes. 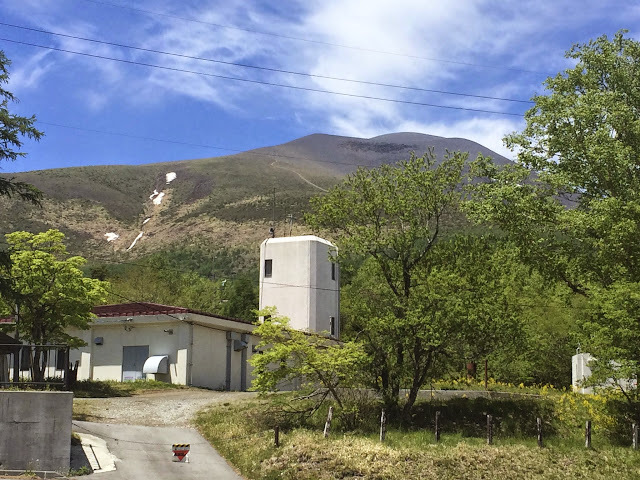 I would like a room on the Nagano side of the hotel, please. In the distance about 20 kilometers and almost 1500 meters lower elevation ... Nakano, Nagano. 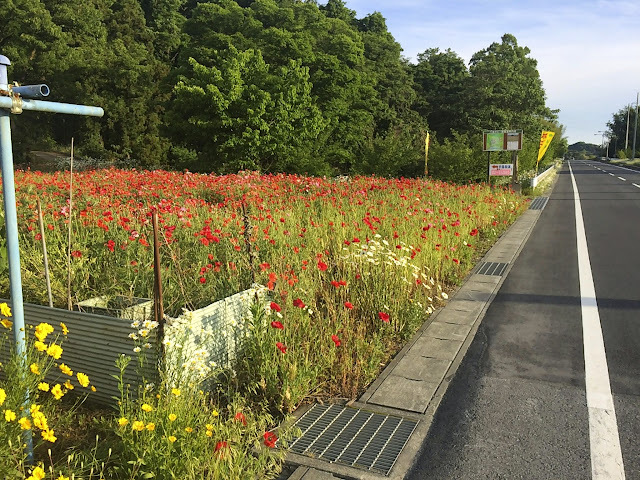 A park like area above/in Shiga Kogen on the descent. The Moon and Venus make an appearance as I climb toward Sugadaira Kogen. Romantic? Another perspective on first light Saturday morning, Day 2. And yet more. Somewhere I saw a sign in Japanese that called this the "poppy road". This side's climb to Utsukushigahara looks mostly like this -- road sliding downhill just a bit. 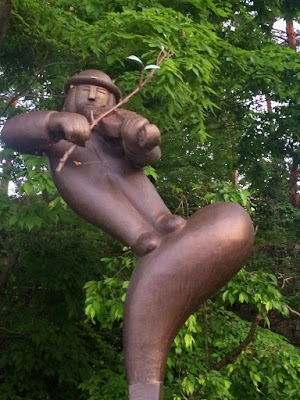 The famous grove within a few hundred meters elevation below Utsukushigahara. Looking north from Utsukushigahara. Mist in valleys below! Venus Line. Loved by motorcycling enthusiasts. Second 2000m+ pass of the trip. Utsukushigahara is so much more dramatic, but just shy of 2000m. Back at Takao Station -- 4:57AM Sunday morning. A real tour of Eastern Central Japan! I could go on and on ... but life calls. For anyone still reading, some notes on my gear. Bike. 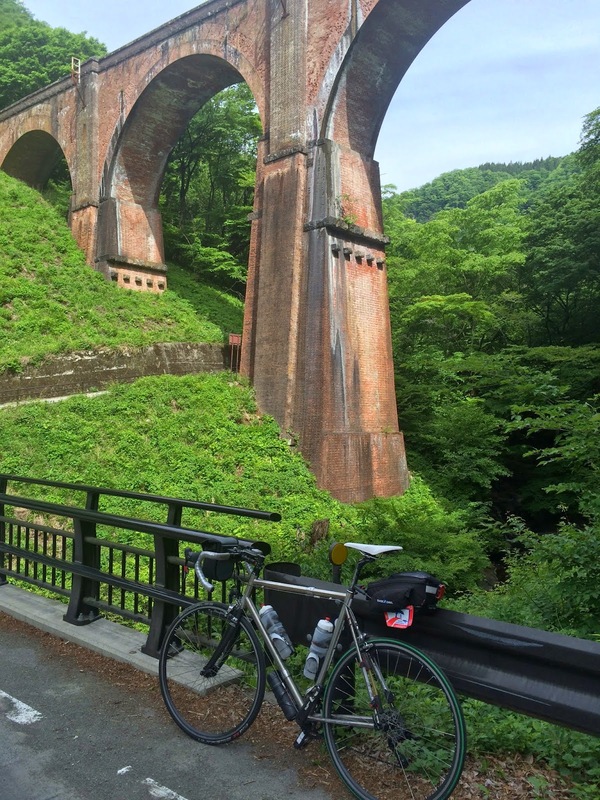 I rode on my GS Astuto titanium travel bike, Voyage Voyage. I will use it in Europe this summer, so really wanted to ride it on one of the key preparation events. It came through with flying colors. It is not an art object, like the Renovo. Nor is it as light as the Canyon Shark. Nor does it get the affection of the bike I built--the Yamabushi--which also can take traditional fenders and tires much fatter than 25mm width, about the limit for Voyage Voyage. This is just a solid, very functional all-around bicycle ... with couplers so that it will fit in a suitcase for travel. Gearing -- importantly, Voyage Voyage now has a compact crank (34-50), and a medium cage SRAM Rival rear derailleur that works with a large cog cassette (in this case 11-32). So I could spin up even the steepest hills sitting, using 34-32 gearing. The result -- a brevet in which I was actually NOT in my lowest gear on many of the climbs, and when instead of resting, I could always just downshift and keep going with reduced effort. Pre-ride Maintenance -- most important, a week before the event I had Hiroshi at C Speed help me properly tighten the Cane Creek integrated headset -- which had had a slight bit of "play" in it that I somehow could not eliminate ever since the last time I assembled the bike. I think headsets and hub internals were the last areas of the bicycle for me to dare to touch, and I am still a novice with both -- as shown by my inability to get this one fully secure. The better, more secure front-end gave me a lot more confidence descending on the bike at high speeds. Lighting -- of course, SP Dynamo (this time SV-8 based front wheel) and the small Busch Mueller light that works best with this bike's cable routing. I thought about taking the SV-9 ... but decided for the conservative approach of using equipment I have tested over several years. I will use the SV-9 on other rides this year. Wheels -- home/hand-built, with 32 CX-Ray spokes and H Plus Son Archetype rims both front and rear, Dura Ace 9000 rear hub, SV-8 front hub. As true and equally tensioned at the finish as they were at the start. 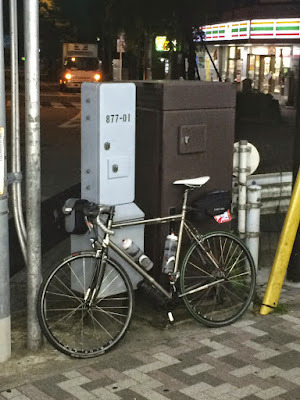 Tires -- I tested the bike by riding it to/from Keio University's Shonan Fujisawa Campus on Wednesday, just before the event. When I returned to the bike for the ride home, the rear tire was low. I had a slow, pinprick leak somewhere. I changed the tube (which had been patched previously so seemed a likely source of the problem -- I could not feel any sharp object on the inside of the tire), but the replacement also developed a slow leak and was low by the midpoint of the ride home. I searched the tire more carefully ... but still could not find any obstruction. Another tube in ... and yet again, low pressure by the time I got home. So instead of the Schwalbe 622-25 Ultremo ZX, I swapped in a new Vittoria Open Pave (also 622-25) for the rear. I have much more confidence in the Open Pave, which has carried me safely to Itoigawa, throughout Tohoku, and numerous other events. At 80-90psi, with wide rimmed H Plus Son and 622-25 tires, I was very comfortable, even on stretches of rough road. Of course, once I had removed the Ultremo ZX tire and searched very carefully, bending and kneading it as I moved around the inside, I could find a TINY piece of metal buried inside the casing. With this removed, the tire probably is good for much more use. Balance of System -- Given the nice weather, I rode with Audax vest and short sleeve 3-season cycling gear, arm/leg sun covers, double socks, and in reserve a thin rain/wind shell, warm winter inside-helmet cap, full-finger glove liners and an extra pair of wool socks. I used every piece of gear that I had, and only briefly (after Yamanaka-ko) wished I had brought anything warmer. Very light travel gear for a 600 km ride. To carry everything, I used a Rixen Kaul rear bag that attaches to my seatpost and is easy to take on and off, an Ortlieb mini-front bar bag (which still fits a LOT); and a canister for tools and spare parts that fits in my third water bottle cage. No rucksack needed. I may stick with this set up for PBP, since I will have drop bag access. *Actually, I arrived back home 23 hours before starting this post, but slept Sunday at least 6-7 hours during the day, until just before dinner, and again overnight for another 7 hours. I know I have told many friends before, but this deep post-Brevet sleep is I think the best sleep I have ever experienced -- complete relaxation and deep, deep slumber. At this point, I value the post-event slumber enough that I always try to plan an especially long or hard event so that I have not only sufficient rest BEFORE, but also a good 24 hours without anything urgent AFTER the event. Wow, congratulations to you and Jerome. Very well done! I'm glad you didn't have any mechanical or other issues which would have risked the cut-off. How long of a rest were you able to take at the hotel in Ueda? I guess I asked for it by saying "any questions?" ... let me amend that to "any questions not already answered in the text of the post?" and refer you to the section entitled "Rest" which gives my hotel arrival/sleep and departure times. Jan Heine of Bicycle Quarterly / Compass Bicycles of Seattle rode the Fuji SR600 in September and has done a nice write-up. As usual, he does not link to other descriptions in English of the same ride (e.g. this one). 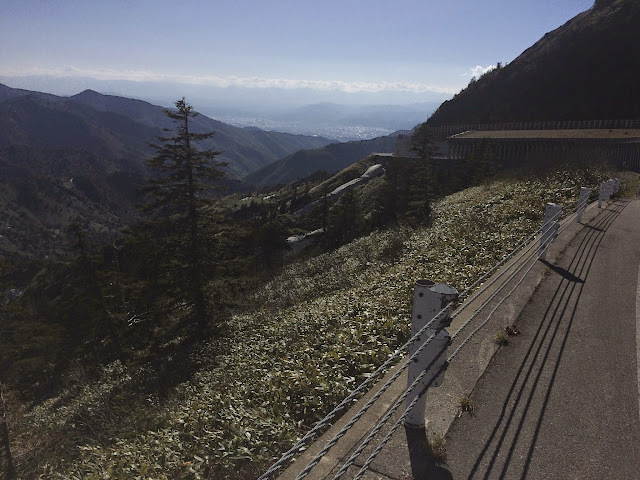 At least this time he does not take direct descriptions of parts of the ride (as with his Nihon Alps effort, where he seemed to borrow my description of Jizo Pass). 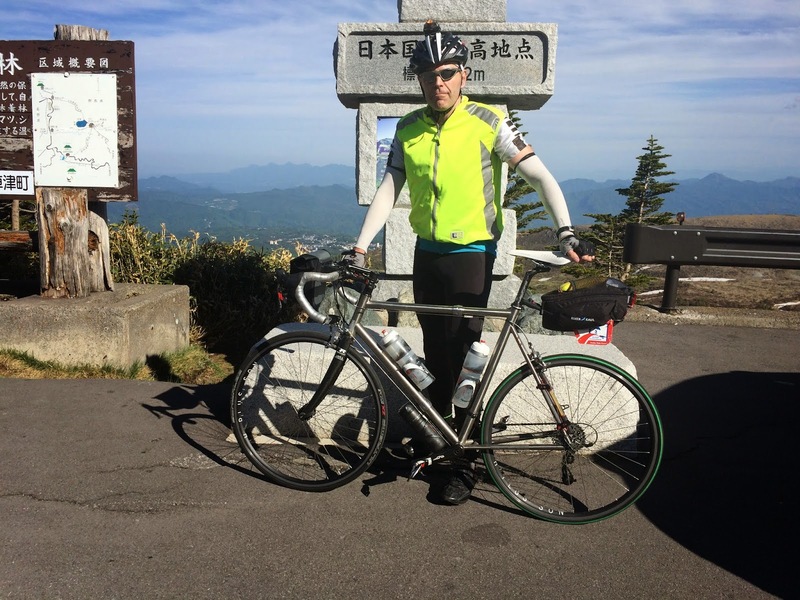 Anyway, it is great to have him publicizing these rides in Japan ... sure to bring more international randonneurs here over time.